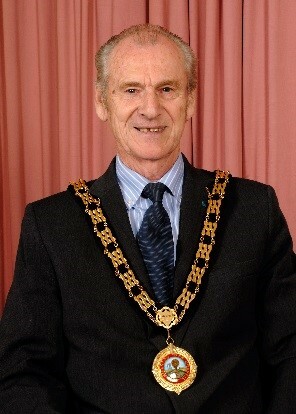 The Mayor of Normanton is the Civic Leader of the Town Council. He will often be seen at functions and events and represents the town at events across the district. The Mayor raises money for the Mayors Charity Fund which is given to good causes which benefit the people of Normanton. The Mayor for 2018/19 is Councillor Denton Jones. Denton would be happy to receive invitations to attend events in Normanton during his year in office. Over the festive period, the Mayor will visit local schools and care homes. The Mayor will be raising funds for the Mayor of Normanton Charity Appeal. This year he will be supporting the Prince of Wales Hospice. He will also be supporting local grassroots organisations in the Normanton and Altofts area.